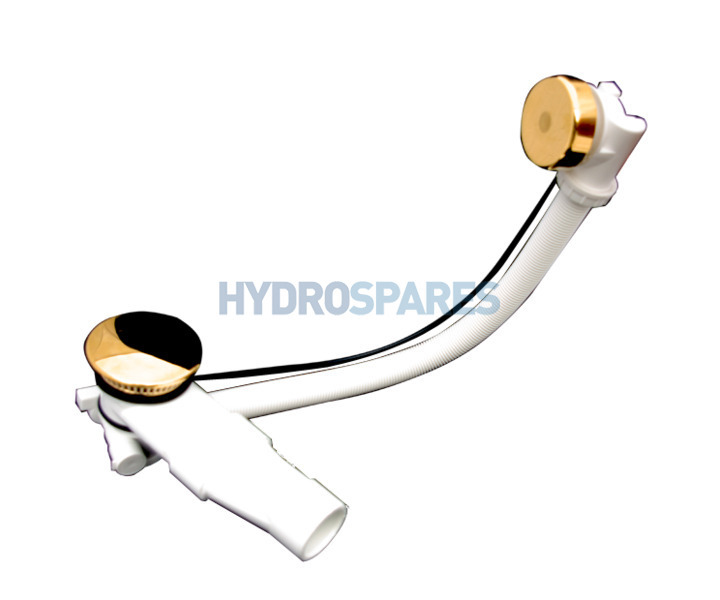 Pop Up Waste & Overflow + Pump Suction - Gold 650mm - Suitable for Baths with Bottom Suction Pump Systems. A suitable pop up waste system for baths that have a whirlpool system where the pump draws water from under the drain system as opposed to a suction point on the side wall of the bath. You will often find this pop up waste fitted to whirlpool baths from B'n'Q. How quick could I source 2 gold wastes 3032 from your web site. Hello, we would need to check with the supplier as Gold fittings are becoming less popular so many items are being discontinued.